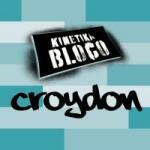 We have a free half term workshop on the 28th – 30th August at Croydon Clocktower. We are looking for young people aged 10-18 to come and join us and play / learn drums, steel pans, brass or woodwind. You’ll create a performance together to be performed to your family, friends and your community. Sign up below.